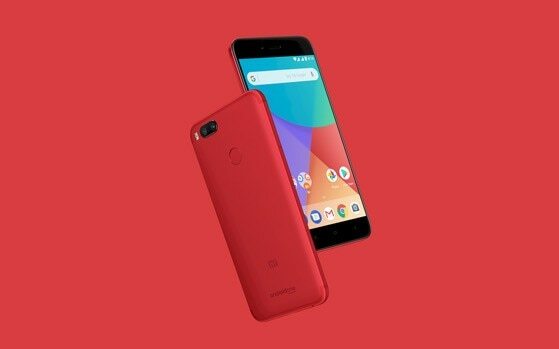 Xiaomi has launched a new special edition RED variant of ite Android One-backed Mi A1 phone in India at a price of Rs. 13,999. The handset will be available at limited quantities from December 20, 2017, via Mi.com and Flipkart , “Xiaomi said in a press statement. This handsets special edition of red will also be available at all Mi home stores, Mi preferred partner stores, and retail partner stores, the company added. although the handset has been launched at Rs. 13,999, potential buyers can get their handset at a discounted price of Rs. 12,999 during Xiaomi’s No. 1Fan sales promotional event on December 20 and December 21 on Mi.com/in. The Mi comes with a full metal unibody design and a rear mounted fingerprint scanner. The phone , with its all metal body and dual rear camera looks remarkably like the iPhone 7 Plus . Everything from the 2.5 D curved glass which is Corning’s Gorilla Glass 3. On the hardware front, the Mi A1 comes with 5.5-inch 1080p display and a 2 GHz octa-core Qualcomm Snapdragon 625 processor clubbed with 4 gigs of RAM under the hood. It comes with 64GB of internal storage which is further expandable upto 128Gb via a external device like sd cards and all. The Mi A1 is further backed by a 3,080mAh battery and uses USB Type-c for charging and data syncing. The dual-sim phone runs stock Android 7.1.2 Nougat out-of-the-box and will be updated to Android Oreo by the end of this year, Xiaomi has confirmed. Elsewhere, the Mi A1 comes with a dual camera setup on the rear-12 megapixel + 12 megapixel- where only lens is wide-angle while the other is telephoto or zoom lens. On the front , the Mi A1 comes with 5-megapixel camera. We report news identified with Internet, Gadgets , Social Media , Mobile Apps , Gaming and substantially more. We additionally endeavor to cover new , development and innovation patterns . We additionally cover acquisitions , new companies and subsidizing news .